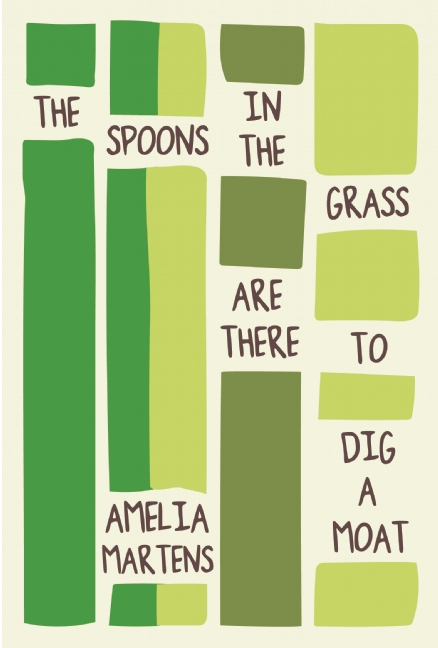 Amelia Martens is the author of the 2016 prose poetry collection The Spoons in the Grass are There to Dig a Moat from Sarabande Books. 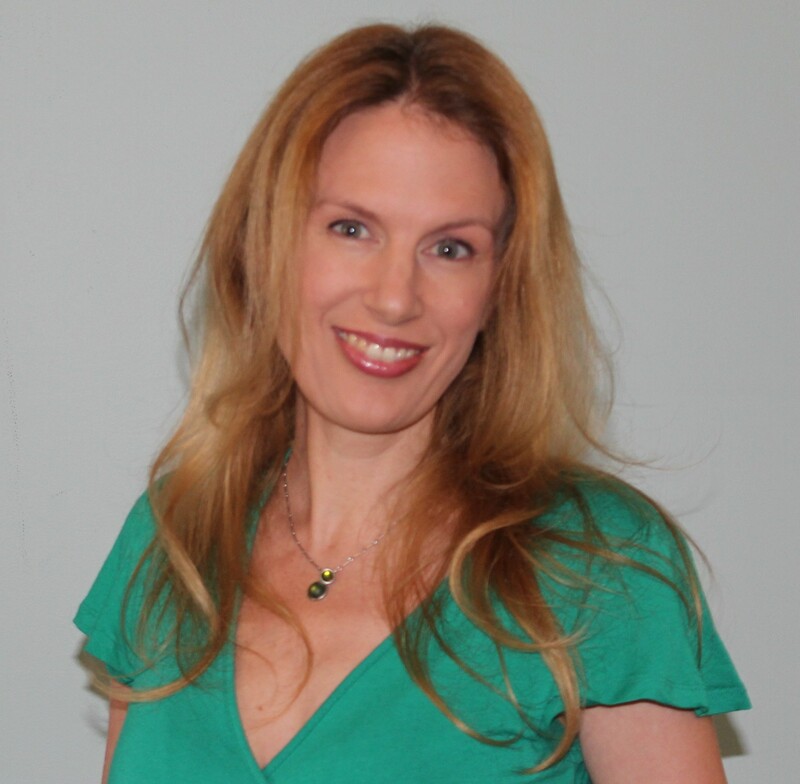 She received a MFA (Poetry) and a MS in Literacy, Culture, and Language Education from Indiana University. She works part-time for WKCTC where she helps to edit Exit 7: A Journal of Literature and Art. Her chapbooks include Purgatory (Black Lawrence Press, 2012), Clatter (Floating Wolf Quarterly, 2013) and A Series of Faults (Finishing Line Press, 2014). Amelia is married to the poet Britton Shurley and their collaborative projects include two daughters. My parents are very articulate, so the writing seed was likely planted early. I remember writing what I considered to be a poem in 1992 as a response to the riots happening just over the hill in Los Angeles. My dad was working in the valley and I remember being worried about him, but also understanding that something much larger was at stake. As far as a break, I had several incredible English teachers and particularly Mrs. Brug in 7th and 8th grade. At UCSB I had the good fortune to be under the watchful eye of poet Barry Spacks. He’s who put the IU MFA program on my grad school radar, and that’s the only program to which I was accepted. IU was a huge break and the validation that came from being officially labeled a poet was useful. In regard to publication, my first chapbook, Purgatory, won the Spring 2010 Black River Chapbook Competition run by Black Lawrence Press. I am thankful to have a continued relationship with BLP and to now be a panel judge for this competition. My first book, a collection of prose poems, The Spoons in the Grass are There to Dig a Moat, is the 2014 Linda Bruckheimer Series in Kentucky Literature selection from Sarabande Books: it was just released (in April 2016). These poems deal with the surreal nature of the news cycle, and juxtapose domestic struggles against the large issues of our time. There are two main threads, one follows “our daughter” and is dotted by the existential; the other thread follows a modern persona of Jesus who observes, cautions, and ultimately participates in the degradation. I write in the laundry room, situated just off the kitchen, and use an old teacher’s desk that is large enough to contain my many piles. I like being connected, but also separate from the domestic action. I want to be close enough to render aid, but also out of the main house loop—so they might run past me if it’s not an emergency. My book was accepted by Sarabande in 2014; at the time my kids were 1 and 3. I wrote the poems in this book starting right after our first was born and just kept them in a pile until the pile grew to be what looked like book-length. I wrote in the small spaces allotted to a new mother, often while holding a baby or during naptime. Now they run and play together, so I try to pop into my desk whenever they’re off working out some magic together. As an adjunct instructor, tutor, and their primary caregiver, my days are divided into chunks of hours and then I switch roles. I write at home, often at night, or if my husband takes the girls to the store, or on Saturday mornings (like right now!) when the girls go to “second breakfast” with their awesome grandparents. I listen to NPR, I listen to people talk, I mishear a lot of things, I read the newspaper and I keep a little notepad. I often don’t have time or space to write immediately when an idea shows up, so I’ve learned to be flexible by using the notepad to record the seed of the idea. This way I can go on and know that I’ll have enough to spark me when I do get time to sit down and write. Language is powerful. I’m attracted to the idea that we’ve created a space of shared meaning using sounds and lines. I like the time-travel capabilities of writing and reading—that I can know, across time and space, what someone else knew or felt or thought. I have also realized that I have a fundamental need to be understood. I think this is connected to being a twin; I like to be understood, it helps me. I write to understand the world, since I often do not. I write to maybe help someone else understand the world, or think about it in a new way. I write because silence is a form of surrender. I love NPR; news is often surreal and the odd ways we use language resonate with me. The language play in conversation, the way words are used by songwriters, the construction of headlines, all of these provide doorways into ideas. However, my two daughters are the most significant sources of inspiration; they are so weird and insightful. I love their questions, their interpretations, their collages of information, their logic, the stories they tell and their openness to knowledge. Being patient; I want the first draft of a poem to be incredible. Time; often, I’m just tired—but this is getting better as the kids get a little older. I am also learning to let things go; my house is dirty—but I’m spending time writing. I’m challenged by the realization that I can’t do everything, or at least that I can’t do everything well all of the time. It’s hard for me to let go what I’ve been told is important (full-time employment, stable income, professional success, sparkling clean house, etc.) even as I want to put energy into poetry, which is is not widely embraced. I’m glad to discover that organizations, like VIDA, which support women in the literary arts exist. I’ve also found several mother-artist (like MAP, the ProCreate Project, etc.) and mother-writer groups and I’m happy to find “my people”. Everything else I wish I’d known probably would have just discouraged me! I want to write poems that matter; poems that speak honestly to a wide variety of people. I’m thankful to be part of Black Lawrence Press and Sarabande Books, two awesome women-led forces in independent publishing. I would like to see the literary world support more writers from the fringes. I had no idea MFA programs existed and learned about them by accident—no one ever presented an MFA as an option for me as I was going through school. I think connecting aspiring writers with mentors, and putting “working” writers in classrooms at all levels would encourage more people to become writers. I’d like to see art, including literary art, be valued in American society as much as we value celebrities or sports. Mary Ruefle, Ruth Stone, Nin Andrews, Lee Ann Roripaugh, Tracy K. Smith, Micah Ling, Aimee Nezhukumatathil, Nikky Finney, Kay Ryan, Ellen Bass, Wislawa Szymborska, Beth Ann Fennelly, Sylvia Path, Mildred D. Taylor, Harper Lee, Willa Cather, Alice Walker, Toni Morrison, Barbara Kingsolver, Louise Erdrich, Margaret Atwood. 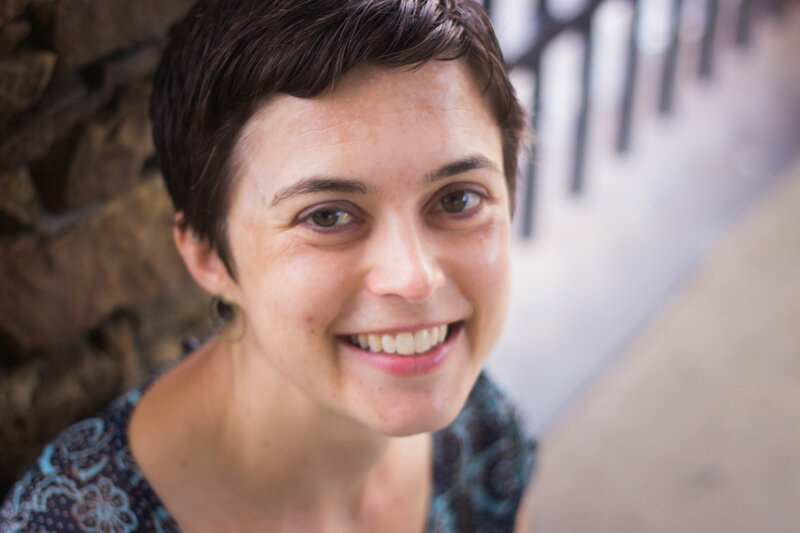 Hannah Faith Notess; her book The Multitude came out in 2015 through Southern Indiana Review Press. Mary Austin Speaker; her second book The Bridge came out in 2016 through Shearsman Books. The Spoons in the Grass are There to Dig a Moat – if ever there was an incentive to buy a book on the strength of the title alone!